After studying engineering in Venezuela, Christian obtained a scholarship to study Le Grand Diplôme at Le Cordon Bleu Paris. 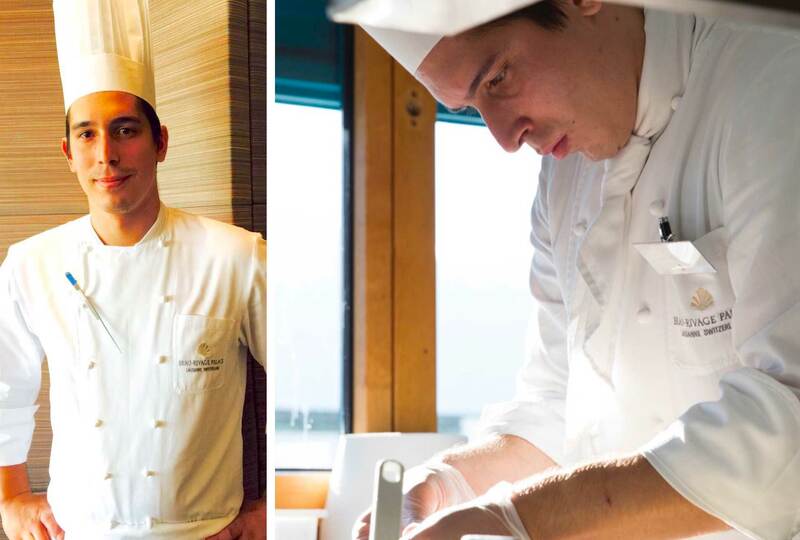 He is now demi chef de partie at the Beaurivage Palace in Lausanne, Anne sophie Pic establishment. I was 20 years old and studying engineering in Venezuela. I made a spur of the moment decision to go to France and study cuisine. I took a BTS in Hospitality, specializing in the Culinary Arts, at Nice hospitality school and was then awarded a scholarship to study at Le Cordon Bleu Paris, something I had always dreamed of. The cultural diversity of the students who come from the world over and whose backgrounds are extremely diverse. Discussions with the Chefs after the demonstrations. There was a combination of both a friendly family atmosphere and a highly professional edge, something which really motivated me. After the Grand Diplôme, I carried out a 4 month internship abroad: two months in Hong Kong and two months in Tokyo. Upon my return, I spent a few months with Yannick Alleno when he took over at the Pavillon Ledoyen. Then, for personal reasons, I decided to go to Switzerland and work with Anne-Sophie Pic at the Beaurivage Palace. I have been there for nearly two years now. I have worked in almost every role and continue to evolve. I have just taken part in my first cuisine competition. It was an amazing experience which has made me even more determined to work harder and improve. I am currently demi-chef de partie, in charge of garnishes, with Anne-Sophie Pic at the Beaurivage Palace in Lausanne where I have been for almost two years. Be proud of what you do and never give up. This is a tough profession (harder than you could possibly imagine) but so worth it. Could you describe your new life in Suisse? Outside of work, the pace of life it extremely laid back. Switzerland is a beautiful country with magnificent landscapes. I think I have found a good quality of life here and a balance between my private and professional lives. I would like to join a brigade in a three Michelin-starred restaurant, maybe return to France or go to London.